Breach of confidentiality occurs when somebody fails to respect other people’s privacy. Each time the private information about somebody is revealed to the public a breach of privacy occurs. Unfortunately, this is a common case scenario. For that reason, in the following paragraphs, we will try to give you some examples of breaches of privacy, we will show you how to respond to breaches of privacy and finally, we will give you some tips on how to keep your confidential data safe. As we mentioned before, a breach of privacy is failing to respect your clients’ confidentiality. For instance, if you are an IT professional and you keep your clients’ data safe at your computer, and you lose it, or the data get stolen, you will be making a breach of confidentiality. Another example is if you email your clients’ data accidentally or on purpose to your other clients or even worse to their competitors. Sometimes breaches of confidentiality happen by accident, however, sometimes they happen on purpose. For that reason, you need to pay attention to whom you are giving your personal private data. 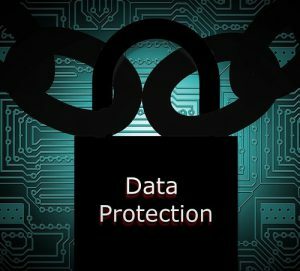 HOW TO KEEP PRIVATE DATA SAFE AND SECURE? Firstly, you need to put your confidential data safe by placing them into a folder that requires special permission before accessing it. This way, unauthorized people will not be able to access it. In addition, you need to encrypt confidential data. Finally, you need to check whether the clients are satisfied with how you keep their confidential data. The first step you need to take when a breach of privacy occurs is to try to contain the breach and retrieve the data; in this way, the damage will be minimized. However, sometimes people who have private information do not want to give it back. This is the time you need to call the police or ask for some legal help in order to retrieve the information. The next step is to evaluate the associated risks. You need to see how the breach occurred, which information was let out, what was affected by the breach and finally what was the cause of the breach. Then you need to inform people who were affected by the breach and finally, you need to see how you can prevent it from happening again. In the previous paragraphs, we tried to show you what breaches of privacy are, we gave you some tips and tricks on how to prevent them from happening and how to respond to them if they happen. The outcome of breaches of confidentiality can vary but you should try to prevent it from happening.